THE ICE-BREAKER the profile of Pascal Mouri. It all started there. A small apartment, a great idea: painting on the walls of disproportionately large canvasses to reclaim the space and move beyond the limits, giving the room a new dimension. After painting, Pascal Mouri fell in love with digital art and its infinite possibilities. He bought his first camera and began taking his first pictures. First he body-painted his models, and very quickly played around with the images on the computer, superimposing plant and water material, taken from nature. This nature that inspired him so much, the very essence of what is around us, is what we are made up of. Self-taught enthusiast, Pascal Mouri never had the urge to go to art school. No doubt, through fear that it would alter his way of thinking or looking at things. Academic art does not speak to him enough, it speaks with too many constraints and too much rigidity. He only had mentors who moved him and who he has a boundless admiration for, again: Armand and his art of accumulation which has greatly inspired his quest for blending and the superimposed images of Fragment Zero; Michelangelo and his attention to detail and of course Caravaggio's chiaroscuro which literally dazzled Pascal Mouri. With Caravaggio, Pascal Mouri was fascinated with light. He first attempted to replicate it in his painting, imagining it in his pictures in order to recreate it with his brush, which he eventually swapped with the lens. Rather than replicating the light, he decided to produce it. Hence his passion for the studio which allowed him to tame the light in order to get areas of shadow and light carefully directed onto his models. His studio work and mastery of lighting also allowed him to get rid of backgrounds and walls, giving his pictures infinite depth and, as you will have guessed, with no limit. Rich in his experience, perfectionist in his technique, a love of humanity, a 7D in one hand, a graphic palette in the other, Pascal Mouri has a head full of projects. 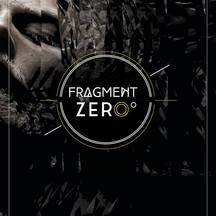 Fragment Zero, established this year, reflects a new approach. The forties. The desire to auto-focus, to reset to zero. From the pictures taken ​​during the last five years in a more conventional form, he wanted to reset, to break down the image to tell a new story and create a new, more personal narrative.